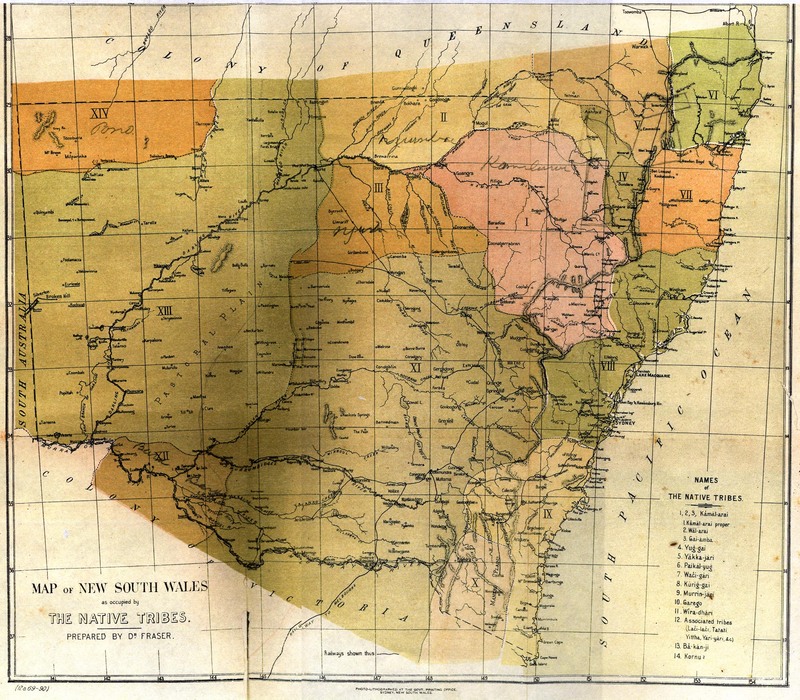 Map of New South Wales as occupied by The Native Tribes. Prepared by Dr John Fraser. Published in An Australian language as spoken by the Awabakal, the people of Awaba or Lake Macquarie (near Newcastle, New South Wales) being an account of their language, traditions and customs / by L.E. Threlkeld ; re-arranged, condensed and edited with an appendix by John Fraser.